Most Formula One drivers said they wanted more cockpit protection on their race cars to lessen the chance fatal injuries, so the people who run the sport listened—kind of. But money talks, too, and it’s pretty loud. But that’s not the only first for this year. According to Motorsport.com, everyone watching F1 could get more ad space thrown into their view as well. The halo means more surface area on the car, and more surface area means more ads. “Formula 1 has been talking about doing some sort of digital on [the halo], so I think we’ll make the most of it,” said McLaren executive director Zak Brown. “Possibly some sort of almost like ticker running, like you see at the stock exchange. Some kind of messaging – that sort of thing. 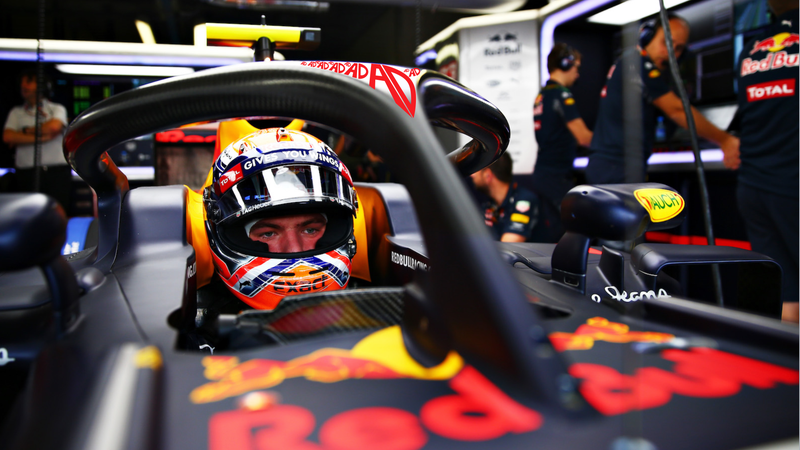 “There are some rules around what you can and can’t do with the Halo - the inside can’t be painted because they don’t want the drivers to be distracted. Sure, the halo can hold more than 15 times the load of the actual car if it gets into a major wreck, but it can also hold ads! Ad-ver-tisements! Check that out! That halo isn’t so bad after all, huh? Maybe its ugliness is meant to draw our attention toward the potential ads.